Anula, 11, and Kosala, 8, were brought to the Higashiyama Zoo in 2007 from the Pinnawela Orphanage. 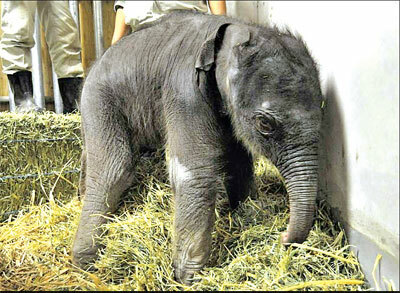 Higashiyama Zoo & Botanical Gardens sources say the birth and growth of the new baby elephant at the beginning of the New Year is symbolic of the growth of the longstanding friendship between Sri Lanka and Japan. The Higashiyama Zoo held a commemorative event in Nagoya last year to celebrate 60 years of diplomatic ties between Japan and Sri Lanka. Ambassador of Sri Lanka in Japan Admiral (Rtd.) Wasantha Karannagoda was the Chief Guest.